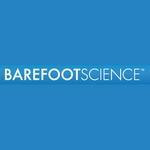 Barefoot Science offers therapeutic foot care insoles in Mississauga, ON. Their patented insoles are designed to eliminate foot, back, and body pain. Founded in 1997, Lance Todd is President of Barefoot Science. Products Carried: Barefoot Science is a supplier of patented foot insoles to help eliminate foot, body, and back pain. Located in Mississauga, ON, Barefoot Science’s patented foot insoles help people with plantar fasciitis, diabetics, people with flat feet, and other conditions. Barefoot Science insoles work by comforting feet with a supportive insole, and strengthening the muscles in them.